Crashes where a following vehicle hits the rear of the vehicle in front are called rear-end crashes and are the most common type of crash for drivers of all ages. Their main cause is that the driver behind is following too close to the vehicle in front. You can generally reduce the risk of a vehicle colliding with the rear of your vehicle. This can be done by checking your mirror well in advance for any following vehicles and if the vehicle is close behind, you can begin to brake earlier. By keeping a safe following distance from the vehicle in front at all times, it will allow you time to brake gently when slowing or stopping. You may even flash your brake lights a couple of times if the vehicle behind is either tailgating or approaching at a high speed, especially if you are approaching a traffic light that has been green for some time. The green traffic light could change to yellow and then red as you approach. By displaying your brake lights, the driver behind will generally place their foot over the brake, which will reduce their reaction time and the risk of a rear-end collision with your vehicle. see also sections on stopping distances for safe following distances and sharing the road with heavy vehicles. Compared to experienced drivers, young new drivers are twice as likely to be involved in single vehicle crashes, such as running off the road, hitting a stationary object or rolling their vehicle over. Young drivers often become over-confident in their own ability to safely control their vehicle at speed. As a driver gains experience, they learn to match the speed of their vehicle to the road conditions, which may mean reducing their speed to less than the posted speed limit. For example, when conditions are wet, when the road is unsealed or where there is no clear view of the road ahead. Until young or new drivers gain sufficient driving experience to make those speed judgements, they should take particular care when driving at higher speeds, as control of the vehicle is a lot more difficult should something go wrong. Once a driver loses control of a vehicle travelling at high speed, it is extremely difficult to regain control (even for experienced drivers) and often results in a serious crash. ease the wheels back on to the bitumen surface, being careful of the raised step between the soft edge of the road and the bitumen surface, because this can cause the steering wheel to be wrenched out of your hand. Modern cars are fitted with safety technologies such as electronic stability control (ESC), which can significantly prevent crashes involving running off the road and/or skidding. ESC helps drivers maintain control over their vehicle, particularly in emergency situations and on wet, icy or unsealed roads. It detects instability and oversteering and stabilises the vehicle by automatically applying brakes to individual wheels. Half of all crashes occur at intersections. The main cause of these crashes, particularly for young provisional drivers, is lack of experience and judgement in selecting safe gaps in streams of moving traffic. It is much better to wait for gaps in moving traffic that are larger, regardless of any impatient driver behind you. 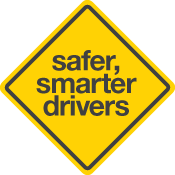 A learner driver should gain plenty of practice under the supervision of an experienced licensed driver at selecting safe gaps in traffic when entering or leaving a busy road. The most common cause of young provisional licence holders being involved in vehicle crashes when changing lanes, merging or diverging is that they fail to check blind spots. Driver's should check their side mirrors and also check blind spots by looking over their right or left shoulder before making a lane change, merging or diverging. Some drivers often forget blind spot checks or believe that a check is not required when changing lanes, merging or diverging, which can lead to a crash or a near-miss incident. Head-on crashes on country roads can have devastating results. Young or new drivers in particular can lack experience in overtaking, and judgement at selecting safe gaps in the on-coming traffic where they can overtake. To reduce the risk of a crash, it is better to choose larger gaps in the on-coming traffic or wait until an overtaking lane becomes available, or, not overtake at all.